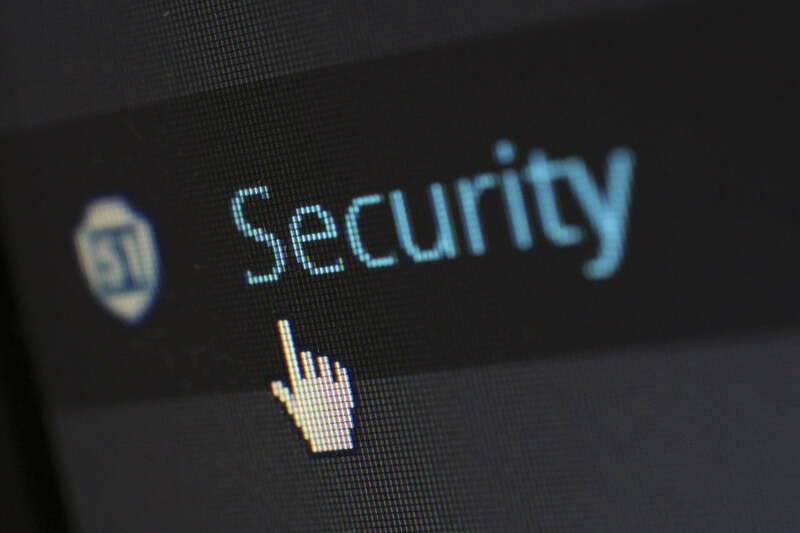 Security on the web has been a huge topic of conversation for the past several months, if not years, though our last election cycle has seemed to really spotlight it for the general population. More people than ever have been exposed to a conversation that business owners and IT professionals have been engaged in for years which is trying to find the best ways to protect sensitive data from malicious attackers. The security of your customers and visitors is also of the highest importance. So, what do you need to know to get your new site up to speed as far as standard security protocols? There are a few settings and features to be aware of as you explore the backend environment of your new VPS in an effort to bolster your security. This is a good point to throw in some caveats when we talk about the security of any website. There are no guarantees. Hacking attempts continually get more sophisticated and things can happen despite one’s due diligence. What the following is meant to do is to inform you of some best practices that will help keep your site more secure, but is it in no way a definitive guarantee that nothing will happen to your site if you do “X” things. Taking preventative steps is better than taking no action, of course, so use this information to your advantage. Once you’ve logged into the hosting environment of your VPS, here are some things to keep an eye out for. The good news about a lot of the terms and acronyms that are going to be coming your way is that they refer to things that are (or should be) already installed on your server. If they’re not, you can contact customer service to get it remedied. So, you won’t have to worry too much about making sure all of these things are in place yourself. Let’s start with CSF and LFD. ConfigServer Security & Firewall (CSF) with Login Failure Daemon (LFD) is a security application that can be accessed through cPanel, which will already be established for you when you log in. CSF/LFD does a few things. It is a Stateful Packet Inspection (SFI) firewall and login and intrusion detector. CSF/LFD sends notifications in the event that something with some importance is potentially happening. That’s to say, getting an alert doesn’t mean you’re in the midst of an attack. But, something worth your attention is occurring. LFD has a variety of useful features built into it that we’ll touch on briefly here. You can read more about these features and examples of the kinds of notifications you’ll receive at our wiki. LFD will automatically perform IP blocks based on reasons that can be configured by the user. By default, you receive notifications each time an IP is blocked. Whether or not you want to disable this is up to you. Depending on your traffic and your filters, you might be getting alerted to things constantly, which would be a distraction. Make sure you’re confident in your configurations before doing this. LFD “keeps an eye out” for things like too many failed login attempts within a short period of time, too many connection attempts being made from a single IP address, certain email issues as they pertain to volume, and successful login attempts through a variety of methods including cPanel or SSH. Get a competitive advantage by using cloud hosting for your CMS with KnownHost. Secure Sockets Layer (SSL) is maybe a bit more familiar to people because of its general acceptance as a must have for many sites, especially e-commerce sites where you’re handling sensitive customer information. To explain the technology in brief, having an SSL certificate is important because it signifies you’ve put certain protections in place to ensure the safety of your customers’ information. SSL encrypts the path between the server and the client. When customers type in their credit card information to make a purchase on your site, for example, that information is transmitted securely thanks to encryption instead of the plain text it is transmitted as without SSL. Because one method of stealing information is intercepting it as it is transmitted, SSL is more or less a must have these days. You’ll have to install your SSL through cPanel. To do this, you’ll need to generate a Certificate Signing Request (CSR) in cPanel which you can do by following our guide. The signing authority you purchase your SSL from will need that CSR to complete your certificate. You can then install the signed SSL certificate through cPanel. You can typically tell if a site has an SSL right from the address bar in your browser. There may be a lock next to the URL to indicate security, or you can look for https:// to precede the site’s address. The key detail there is the S as the unsecured http:// delineates no SSL. If you’re unsure that your SSL has been installed, there are sites online where you can type in your domain name and it’ll tell you. Moving along from server issues to issues that are more user based, it’s important to be smart with your content management system (if you’re using one) as well. Popular CMSes like WordPress often find themselves targets of malicious actors because of how widely used they are. It’s important to do your due diligence and ensure that you are regularly updating your CMS’ core software as updates are released. The nature of open source software is such that updates come out frequently because the user base is always inspecting the code. Vulnerabilities can also come from that same public knowledge of the code. It’s important to be on top of those updates because they almost always include security and bug fixes. This need for vigilant updates also applies to plugins, extensions, and whatever other additional modules that your CMS allows you to install to expand functionality. Additionally, if you have multiple users with access to your site, be sure to restrict access to the bare minimum so that they can perform their job. The fewer people that have full administrator access, the better. Passwords should also be complex, a random assortment of characters greater than ten, and not a duplicate of any other password you use for any other service. Password breaches are still one of the most common methods of unauthorized entry to a site. Most of the time it’s because the user was either phished or the password was something relatively easy to guess. Finally, backups are critical. Your host may perform backups for you, but you should still manually save things yourself on a local drive whenever possible just to be doubly sure you always have your information in the event of something going wrong. As a best practice, one backup of something is never enough. At KnownHost, we value customer satisfaction. That’s why we want to set you up for success. Whether it’s needing faster hosting solutions than you’re already using, you have questions about security, or you’re looking to establish a web hosting reseller business, we’re available to help. Contact our team today and we’ll get you setup with the hosting that you need.